This is a dedicated topic to collect your feedback about CRYENGINE 5.5 (Major Release) in addition to the Launcher crash reporter, the GitHub Issue tracker and GitHub pull requests. Please make sure you submit your feedback in the following format - we even made a copy/paste form for you to save you some time. [list][b]OS:[/b] Windows 7, 10 etc. [b]Build:[/b] as shipped, or compiled from GitHub? - Additional relevant info, summarized, see below for parts to include. - Exact steps to reproduce the error, if you are encountering a bug. Never just post the contents of a DxDiag or Crash Log File into a post! Attach it to the post as a document instead. Use the Spoiler tag to hide massive lines of text so forum pages don't get cluttered. 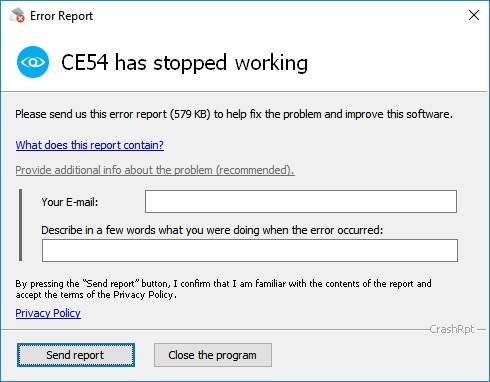 If the engine / sandbox crashes, and the crash reporter pops up, please provide additional information about the problem as is recommended. Just let us know what you did before the crash. It helps us a lot to identify issues quicker. For additional information, please kindly review our 'How to submit Feedback-Guide' before posting to make sure all the information we need is displayed properly and communicated well so our engineers can process it. Please be aware this is the build feedback thread, if you want to have a discussion about the 5.5 release or its features, please move your conversation to the announce thread, thanks! Please help us keep this thread tidy so our engineers can go through your bugs and issues and start investigating them sooner. Title: # Anti-Aliasing is broken. doesn't work at all. 1#Screen Space Shadows are broken. 2#Distant Cloud Shader is broken. Doesn't work at all. 4#Ambient light from lagacy and component entity are broken. Don't work at all. 5#SVOGI: integration modes 1/2 are broken. Bounce light from the Sun and light entitys don't respect material albedo colore. No colorbleeding. 7# Just put a mesh with displacement mapping into the vegetation editor and paint the mesh multiple times on the terrain and the displacement mapping will eventually break. Last edited by cinnabear on Fri Sep 21, 2018 8:42 am, edited 1 time in total. Title: # Water Ocean disappearance bug when moving the camera. - Create a new level and get close to the terrain edge and the ocean and move the camera. Point constraint only works in pure game mode. I can't generate VS Community 15 2017 Win64 (15.7.6) Project. I added FbxSdk library and configure project with default settings via cry_cmake.exe without any warnings. I attach log with errors for generating VS project (It is a lot of that's why you should see in attachment - but it's looks like there are missing some files). OS: Windows 10 x64 Enterprise, build 15063. The problem with " Flash GFxLoader failed "
Back up now says that Flash is not supported! The worst version is 5.5 so far! I made test and is possible to use Flash UI in compiled version of CE 5.5 M.R (I test just add .swf layer on top of gui). I hope that is fully functional, because Scaleform is really powerful and CE don't have nothing to replace it (it have one, but it's really at early stage, really easy one). I test it in compiled version of engine from Cryengine Luncher. As I know Scaleform needs license for source code so may be not released with source code of CE, but the compiled version of Scaleform it should still work with CE 5.5. Crytek stop support Flash, but for many years it was developed and tested in many games so even that it is really good and powerful tool to use. Crytek should not remove it in any time. Someone from Crytek can confirm it ? Hey what about if change the ocean height? Is it useless?